Yes, we are very happy to see patients that are new to our practice and those that may have attended in the past. In order to register for our service simply arrange an appointment for your first consultation with one of our dentists. We will require a deposit for your first booking which may be paid over the telephone by credit card. This amount will be credited to your account towards your treatment costs. Should you fail to attend the appointment the deposit credit will cover the fail charge. We will ask you to complete a medical history form so it is useful to bring along an up to date list of any medication. Our list of private fees are included in the Price Guide on our website. For a first consultation the fee is £60. In addition, should x-rays of the teeth and mouth be required at this first visit a further charge of £20 will be made for two small x-rays. Occasionally a large full mouth x-ray is needed at the first consultation, the cost of this is £40. Fees are collected as they fall due at the time of the appointment. We accept most credit/debit cards (excluding American Express), we also accept cash payments but not cheques. Once a dental examination has been carried out we will provide a full, detailed written estimate of your treatment plan. We have the CBirdies Tooth Care Club available for our junior patients to help them understand how to look after their teeth. 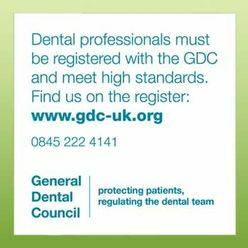 They can join the scheme free of charge once they have received their free NHS dental examination with one of our dentists. You can book over the telephone or call at the practice in person. You may wish to arrange a free, no obligation chat with one of our qualified dental nurses before booking a consultation with the dentist. Our dental nurses can provide answers on all aspects of our service and what each treatment type involves. Please contact us to cancel as soon as possible, we require 24 hours notice to avoid a cancellation charge. For cancellations on the day we will not make a charge if you contact us before 10:00am on the day of the appointment. Please contact the practice as soon as possible, appointments are available on the day if the practice is open. On weekends and bank holidays NHS patients should telephone the NHS helpline on 111. Details of our emergency service for private patients will be available on our telephone answering service. A dentist is usually available on his/her mobile number to offer advice in emergencies. He/she will open the practice, if necessary, where emergency dental treatment is required. When they are not available there will be alternative arrangements in place i.e. another local dental practice will be covering emergencies on our behalf. Yes, we have a Dental Care Plan membership scheme which you can join anytime after the first consultation. Once the scheme has started you will receive 20% discount on your dental treatment (excluding implants which are discounted by 10% within the scheme). 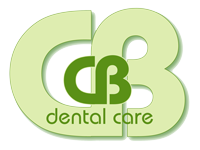 The membership costs £12.95 per month and includes two dental examinations and two hygiene visits per year plus several other benefits.